I have a confession to make. I am in my mid-thirties but I still love going to theme parks! I don't believe that these places are made just for the kids. These were also built for us - adults - to get back in touch with our inner child from time to time! 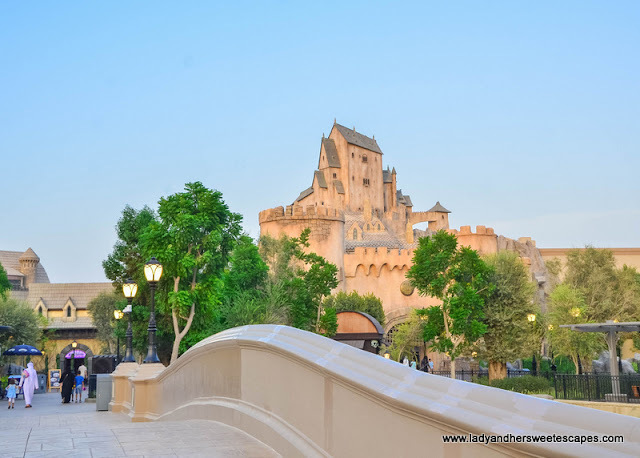 Here in the UAE, we are lucky to have plenty of good theme parks to choose from. 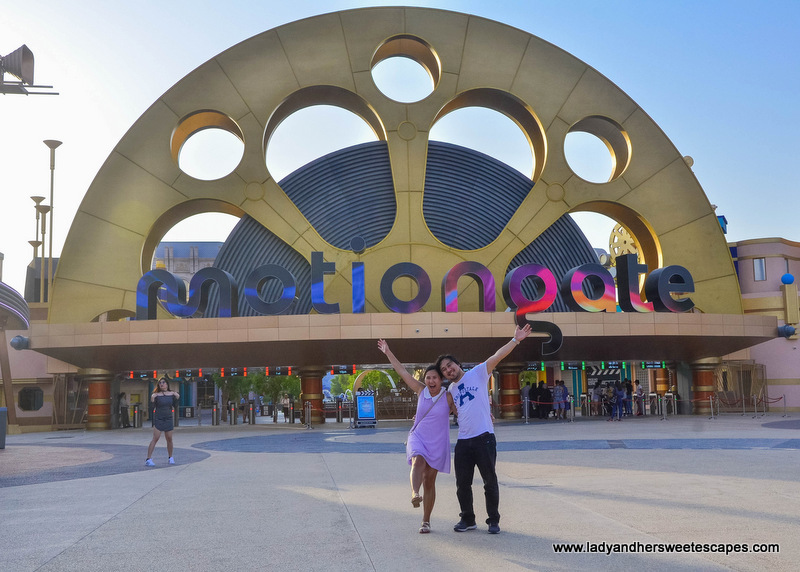 One of our favorites is Motiongate Dubai. 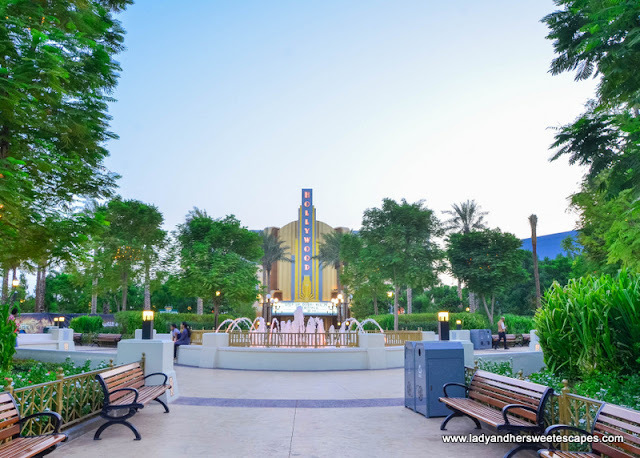 Motiongate is a Hollywood-inspired theme park located in Dubai Parks and Resorts. 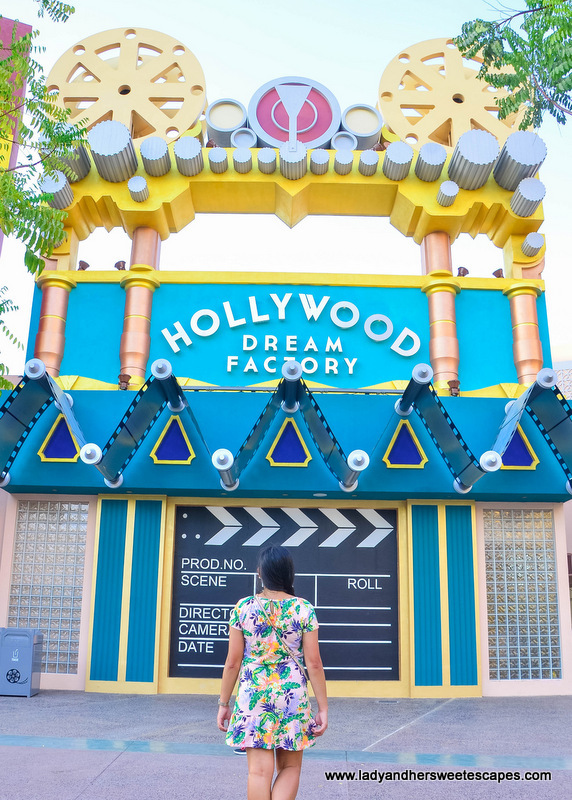 It is a fun destination where you can relive your favorite movies from Dreamworks Animation, Columbia Pictures, and Lionsgate. 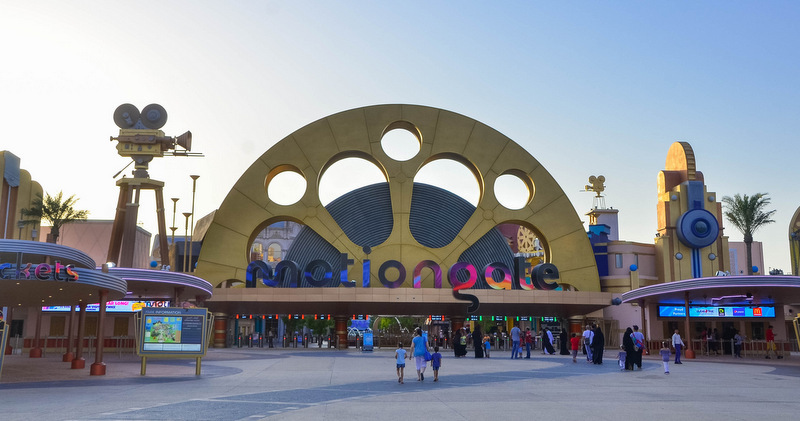 Our visit to Motiongate Dubai starts in Studio Central. It is a boulevard that connects the main entrance to the various zones inside the theme park. Walking past the colonial buildings transported me to a classic Hollywood movie set! If not for the conspicuous Middle Eastern heat, I wouldn't feel I'm in Dubai at all! Inside these colonial buildings are shops and restaurants! This doesn't look like Dubai at all, don't you think? Not a real hotel, but one of the unique dining spots in the park is housed in this building. 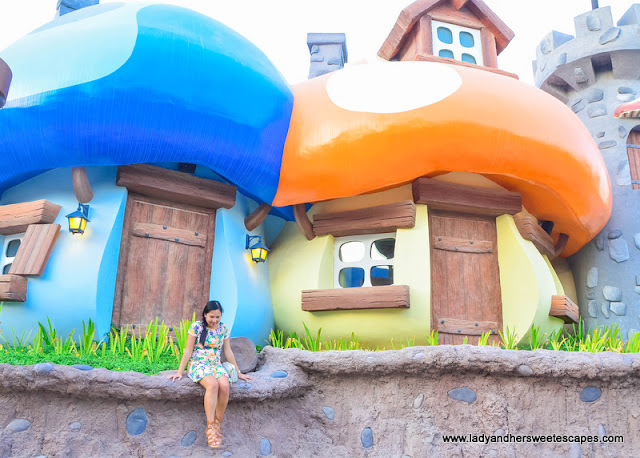 Those tiny blue people called Smurfs have the cutest village in Motiongate Dubai! The zone is dotted with mushroom houses and colorful play areas. Attractions include a kiddie roller coaster, a theater, a smurfy studio tour, a Woodland adventure park, and a Smurfberry factory. 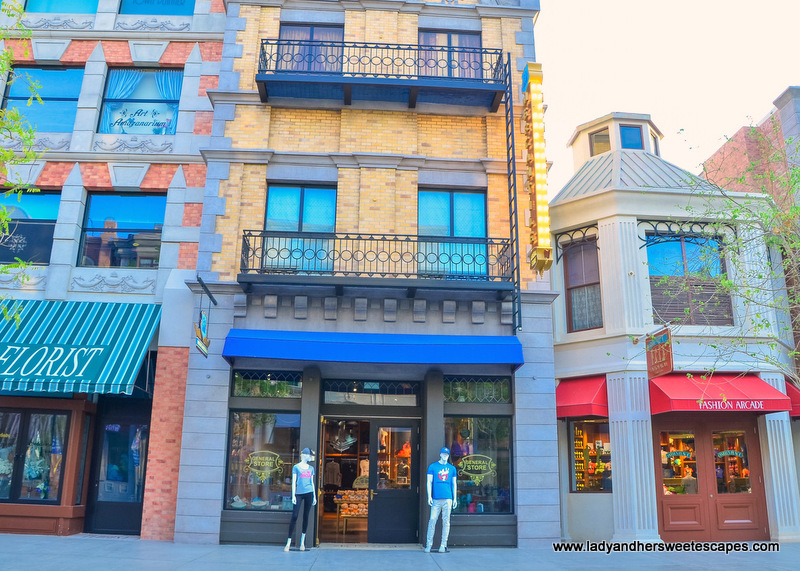 Next to Smurfs Village is a zone where some of our favorite movies from Columbia Pictures are brought to life. The first thing I noticed is the imposing Hotel Transylvania. 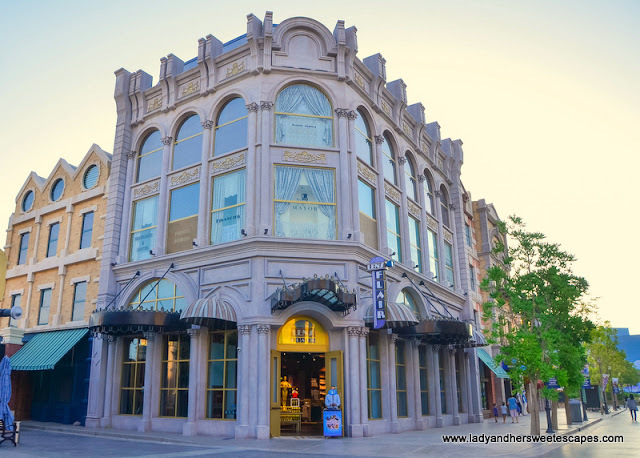 It certainly looks like Dracula's luxurious hotel for monsters! Don't judge it by its cover though; this isn't a scary ride but rather a cute and kid-friendly one. 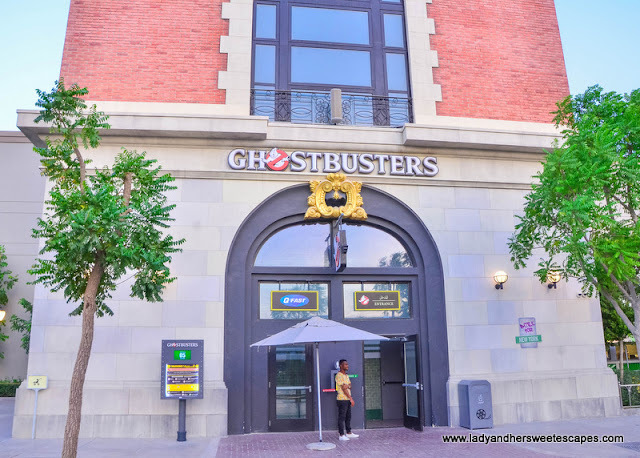 Other fun attractions in the area are the interactive Ghostbusters family ride, Cloudy with a Chance of Meatballs water ride, Underworld 4D theater, and Flint's Imagination Lab play zone. For the thrill-seekers, The Green Hornet roller coaster and Zombieland blast off ride are there to give a little adrenaline rush. Be a member of the Ghostbusters inside this building! 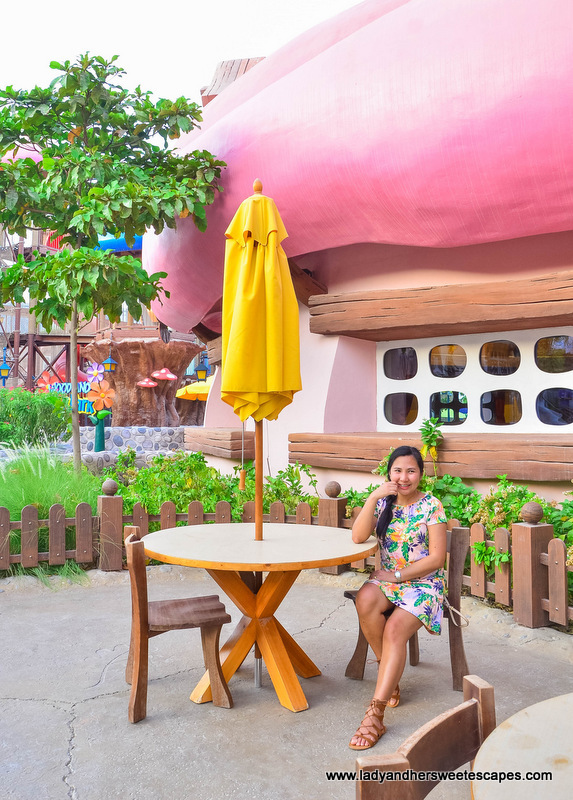 This zone is certainly the place to go to if you want a cool refuge from the afternoon heat. 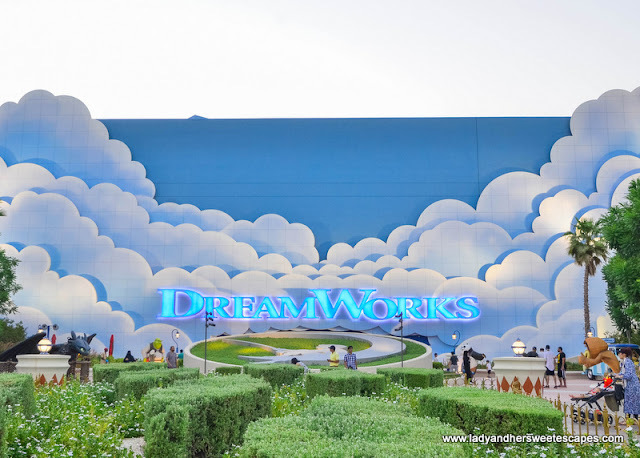 Dreamworks is an indoor attraction subdivided into four areas based on Dreamworks Animation franchises; Shrek, How to Train your Dragon, Kung Fu Panda, and Madagascar. My favorite ride in this zone is the Dragon Gliders; a suspended roller coaster that glides over the hall! It always has the longest queue, so consider yourself lucky if you have a Q fast ticket! During one of our visits, we waited for around 30 minutes just to get on this ride. But yes, the long wait is super worth it! 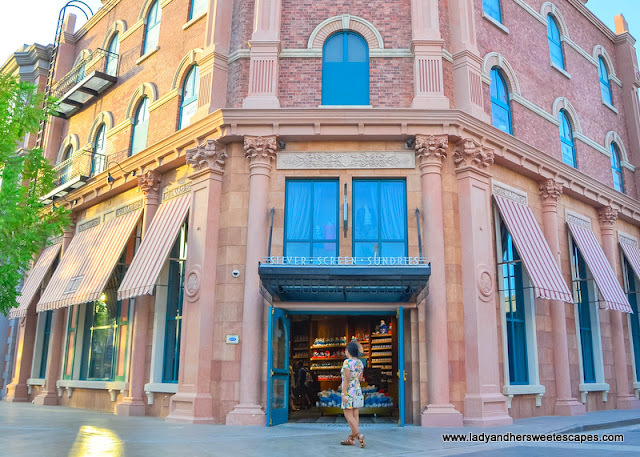 DreamWorks attractions are hidden inside this blue building! 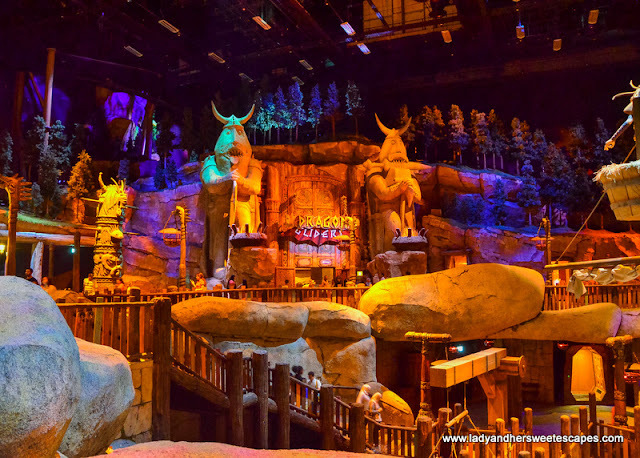 Ed and Madagascar's Alex give this indoor zone a thumbs up! During our first visit in Motiongate, Lionsgate zone only has a stage show based on Step Up movie. It was only October last year when the much-anticipated The World of The Hunger Games was opened to the public. Ed and I were delighted to revisit the park to try out the Capitol Bullet Train - the most nerve-racking roller coaster ride I have experienced to date! It has a vertical drop, a series of loops, and a top speed of 80 kph. Ed and I have visited Motiongate Dubai twice. We went home with happy faces and lots of fun memories worth-sharing on both times. 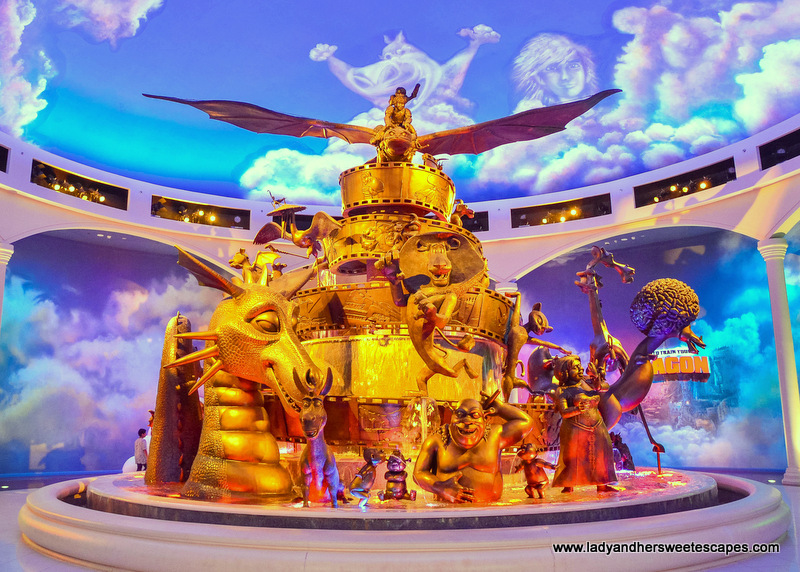 It is a family-oriented theme park; most attractions are kid-friendly, but adults are definitely not left out. The park opens late (3 to 11 pm) so plan your visit well. To make the most out of your day pass, I would suggest going there as soon as it opens. Visit DreamWorks first and enjoy the indoor attractions while the scorching sun is still up. 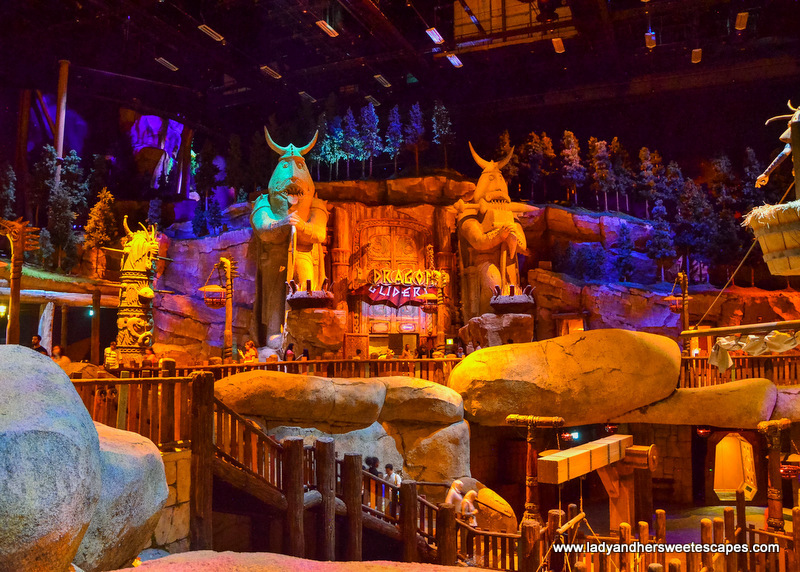 Then explore the outdoor zones late in the afternoon until closing! 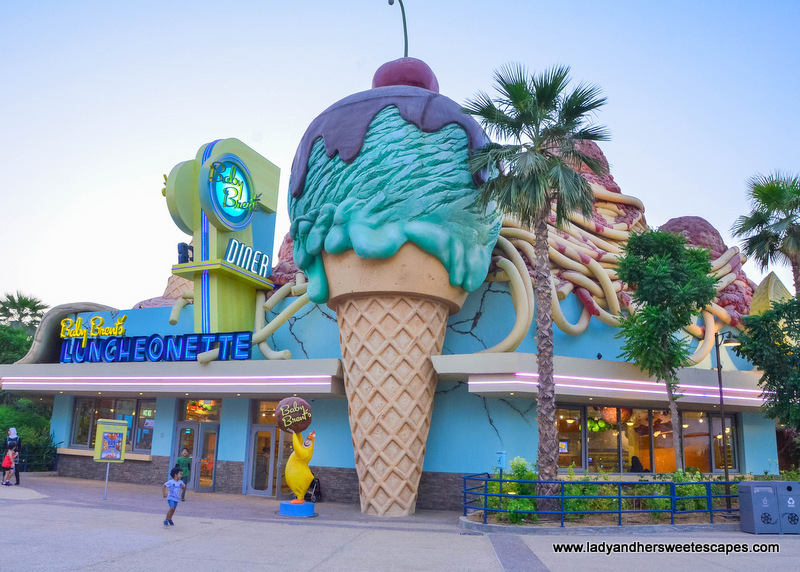 Have you been to Motiongate Dubai? 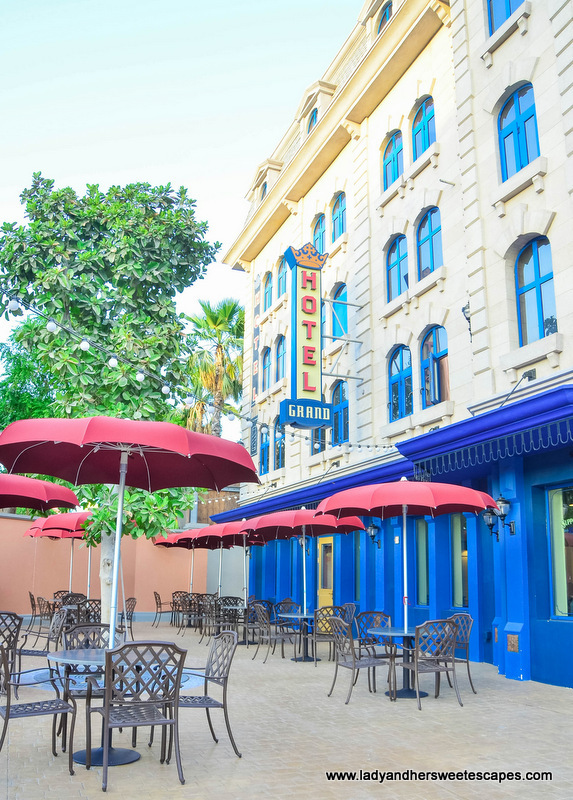 What are your favorite rides in the park? Share them in the comment section below! 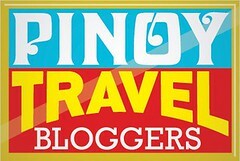 How to get there by Bus Shuttle Service? 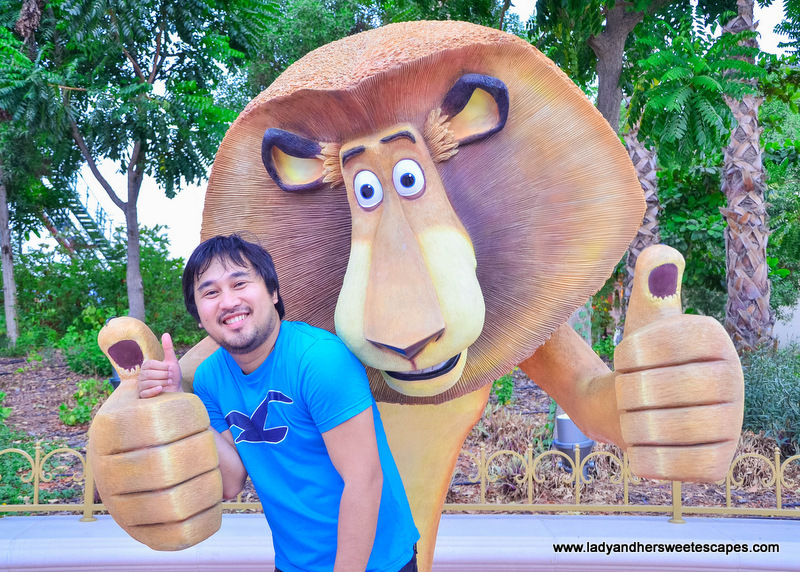 Where to stay near Motiongate Dubai? Read about our Polynesian-themed Staycation in Lapita Hotel. I love Dubai for it beautifil tourist attractions. I have already applied for my Dubai Visa and am too exited for my first ever trip to Dubai.